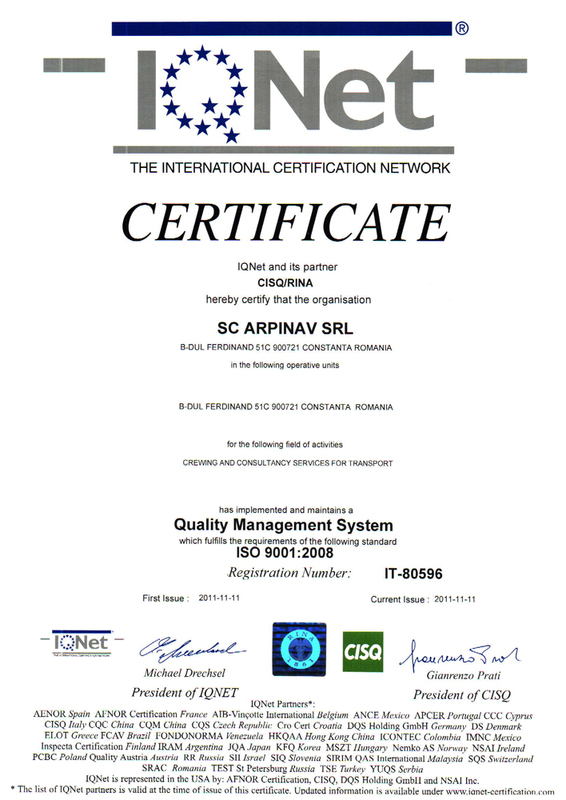 We constantly improve the quality of our services. 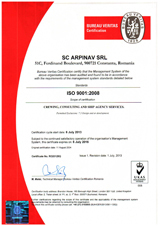 We were successfully certified in accordance with ISO 9002 requirements on July 29, 1996 and received the BVQI Certificate no. 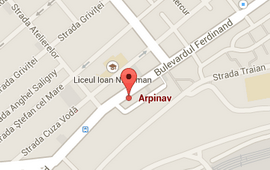 17360. 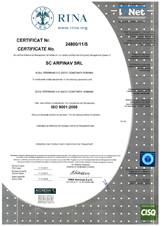 Recent revalidation was successfully Passed on September 7, 2002 for ISO 9001:2000 standards with certificate no. 118847. 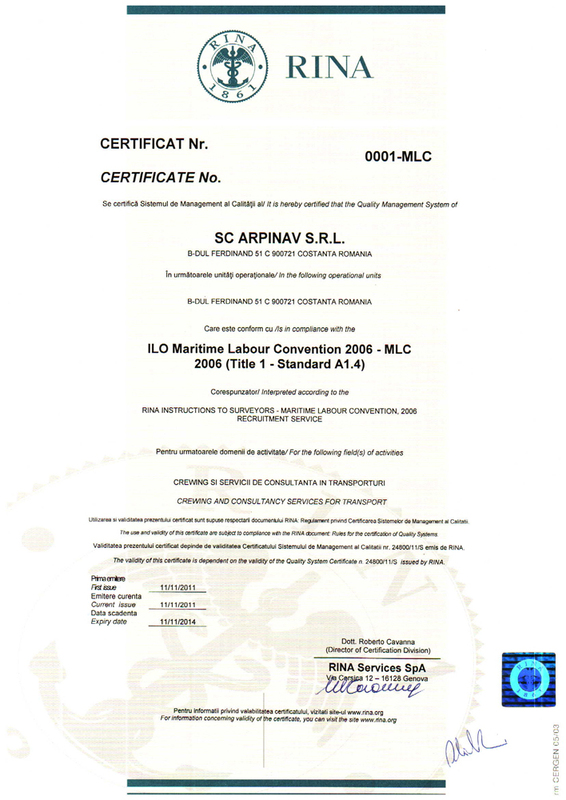 We are also MLC certified – ILO Maritime Labour Convention 2006 – MLC, Certificate No. 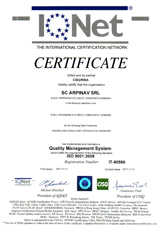 0001 – MLC, IQ Net Quality Management System ISO 9001:2008 Certificate No. 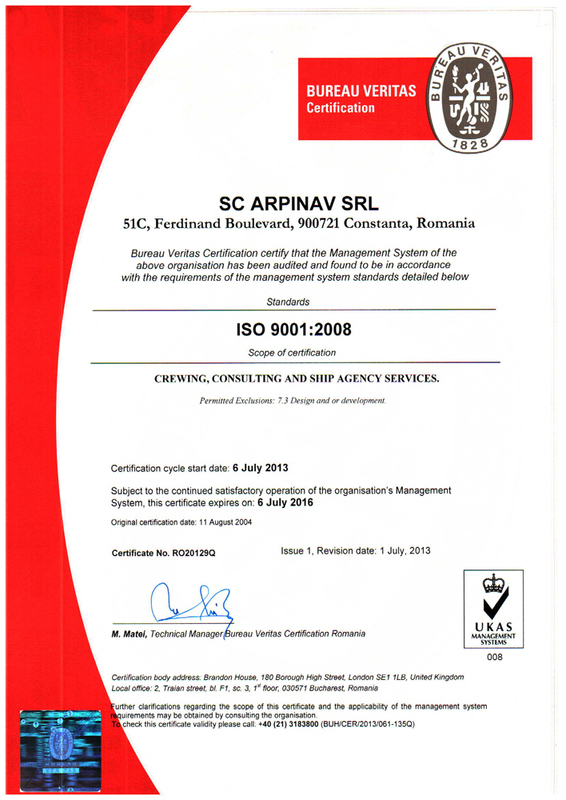 IT – 800596 and RINA ISO 9001:2008, Certificate No. 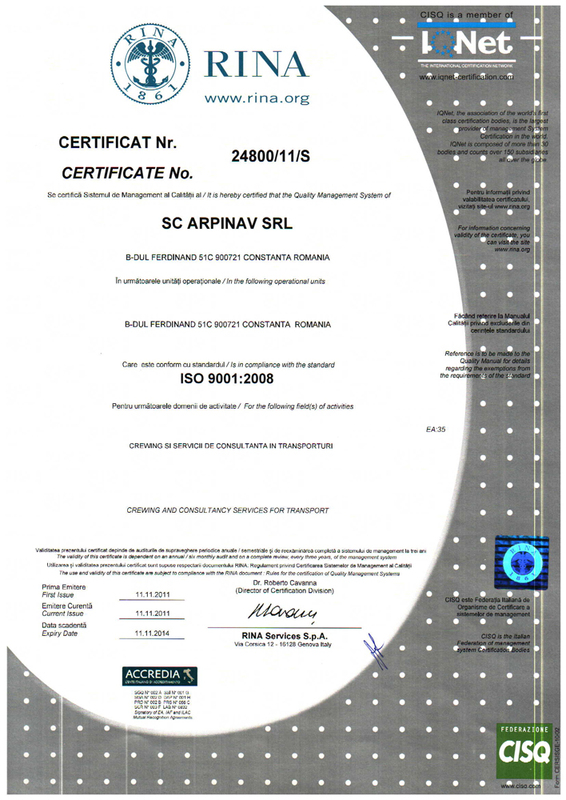 24800/11/S. We have a Special Collective Agreement with I.T.F. 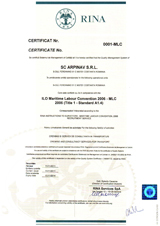 (London) and with I.T.F. 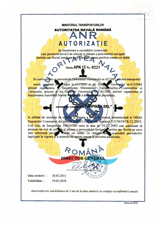 affiliated Romanian Union in order to ensure that the personnel we provide meets I.T.F. requirements. 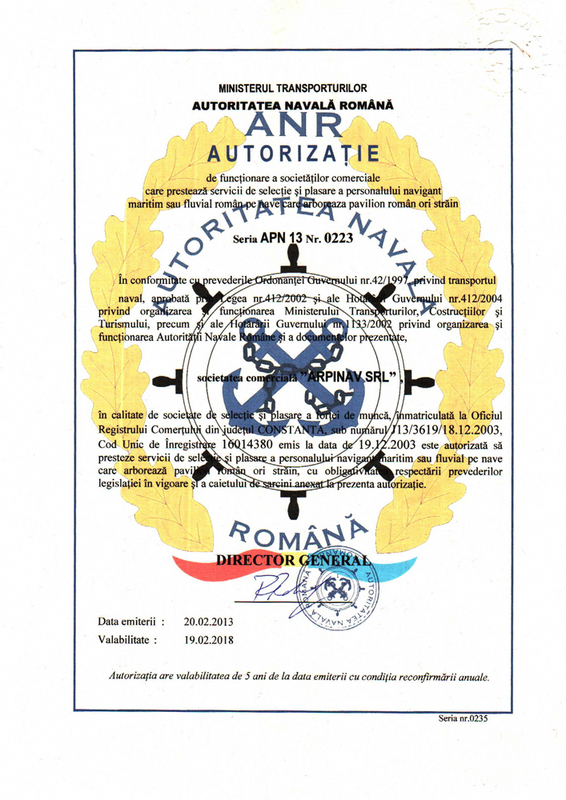 In accordance with the existing Requirements of the System of Certification of services on recruitment and placement of Romanian seafarers on ships flying foreign flags and with the Standards of ISO 9002 : 1994 and ISO 9001: 2000 our company has "Certificate of Services for Recruitment and Employment of Seafarers on Foreign Flag vessels " issued by the "Ministry of Transports, Construction and Tourism” of Romania.